Being seventeen is never easy, especially for a compulsive and impulsive young gay man. Meet Dylan Doyle, an earnest student of life. As the embers of summer fade away, Dylan learns that the path to adulthood is a long and treacherous road. The certainties of his life are stripped away by betrayal and plain bad fortune. Yet his optimism never fades, and Dylan might find, that salvation was watching over his shoulder the whole time. Sometimes, the journey to being a man is as important as the destination. 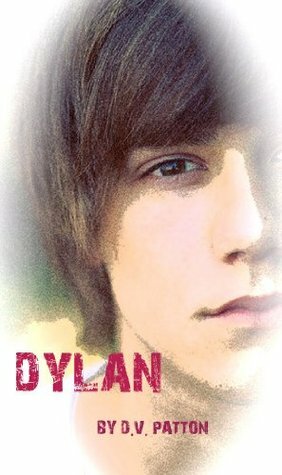 Dylan is the story of love lost, and found again in the most unexpected place...where it always was. Dylan is a lonely teenager living in the town of Eden Glen. Is it in Ireland, Scotland, Wales? Anyway, it was somewhere close to England. The town was so nondescript that it could have been set somewhere in the US as well, though the language used in the story and certain events remind me it is not. The town is a significant part of Dylan’s life. It is where his mother, his closest friends, and his first lover reside. It is where he went to school, and it is where he had his greatest disappointments. I wanted more details to help bring the town and its inhabitants to life. This story was in two parts. The first took place when Dylan was 17. A typical teenager, he suffered from low self-esteem. He was a good kid, helping his mom out, and working a part-time job at the supermarket while attending classes. When he wasn’t working, he watched films with Kylie and pursued Ronnie. He was a wonderful character, the kind of kid you’d be proud to have as a son, brother, or friend. In spite of his many disappointments, he had a good spirit and never became bitter. There were many interesting secondary characters and significant relationships that needed more development. There was his mom, sick through much of his young life and now suffering from cancer. There was Jessie, a hardworking kid from a poor family saving up for college. There was Kylie, a girl with curly hair, piercing gaze and inner strength. She was the first person Dylan came out to. There was Ronnie, blond, handsome, athletic, and Dylan’s first crush. The second part of the story takes place after a tragic accident and is more interesting than the first part. Dylan is now three years older and walks with a limp. He learns the truth about his first lover, copes with grief and more disappointments, babysits for Kylie, gets reacquainted with Jessie, and finally finds the happiness he deserves. This is the type of story that could have benefited from a longer length and a good editor. There were lots of characters, lots happening, but I felt this was more of a describing of events rather than feelings. Though the story was pleasant enough reading, it lacked a soul.